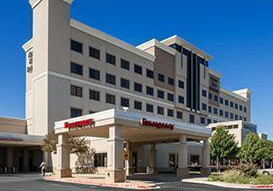 The two-story, 25,000 square foot building is designed and constructed to WELL® Silver standards. Initially 8,770 square feet will be occupied by the CMTA Energy Solutions Group and the remaining area is shell space for future expansion. 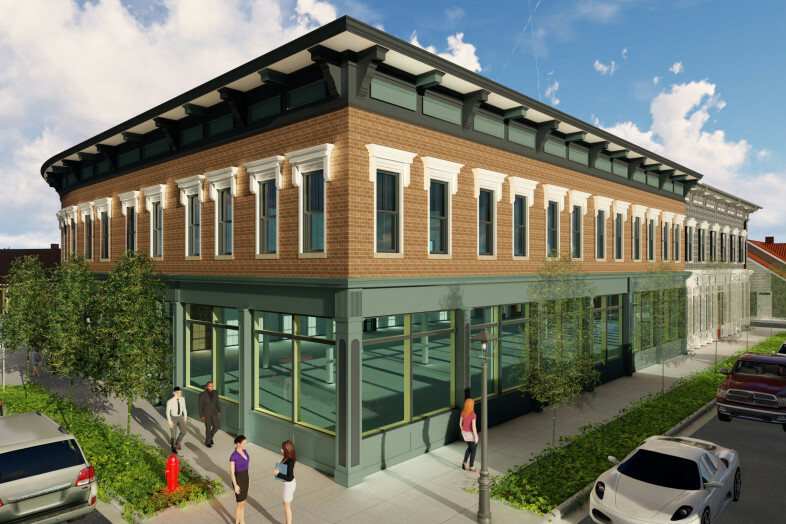 CMTA's section of the building will be zero energy. This project is being pursued for WELL Interiors Certification. As an early adopter of the WELL Standard our goal was to first meet the preconditions and then determine the features that meet our core values or that have a no cost impact on the project. This building is designed to provide ‘real world’ operating data to CMTA engineers. This will enable our engineers to demonstrate the effectiveness of our system design decisions to clients. This design build project resulted in a new five-story, 365,000 ft2 office building for the Commonwealth of Kentucky. 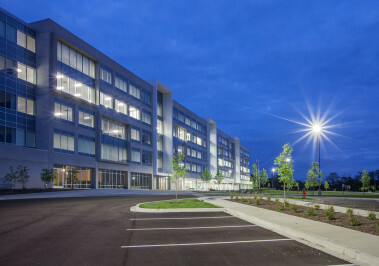 After achieving LEED Silver, the building achieved an ENERGY STAR score of 100. Several energy saving strategies contribute to the building’s EUI of 28. This 11,000 square foot project renovated an existing acute care patient unit converting it to an inpatient geriatric behavioral health unit. 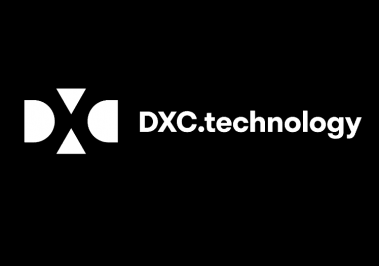 Complete technology design was included. The design team worked with the hospital to develop a custom solution for the existing headwall systems to bring them in compliance with current regulations. 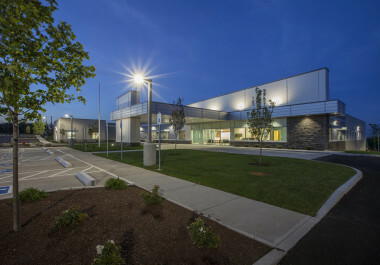 This new 144-bed, free-standing, inpatient psychiatric hospital for Acadia Healthcare Company totals 76,810 square feet. 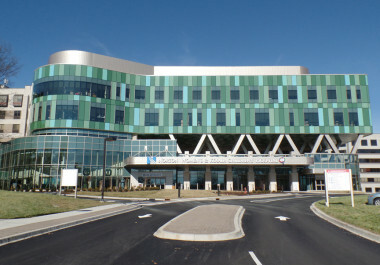 The hospital is designed to accommodate a 24-bed, single story future expansion, has a full-service kitchen and cafeteria, and includes an attached gymnasium. 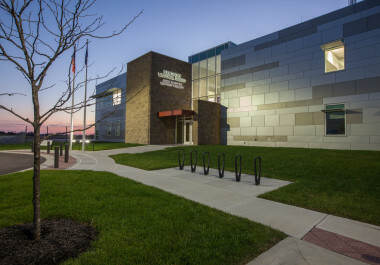 CMTA’s design of this 33,000 square foot police tactical training facility included IT Infrastructure and Electronic Safety and Security (ESS) services provided by CMTA’s Technology Solutions. This project is an Eagle II Security project. CMTA was hired to provide network cabling and audio visual technology design during a 75,000 square foot renovation of an office near Washington, DC. CMTA has been a major contributor to our success on Barkley Elementary School. Their engineering expertise and unique insights into high-performance building systems helped us to deliver a school that is an awesome prototype for the future. The new 141,139 square foot replacement school was designed as a 21st Century School for 740 K-5 students at Fort Campbell Army Base for DoDEA. 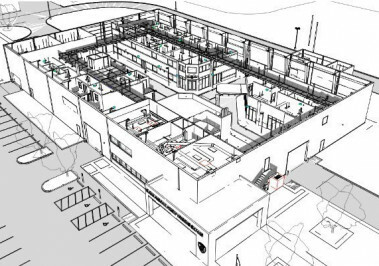 This Campus Energy and Sustainability Master Study is the result of collaboration between all stakeholders including the owner, architect and CMTA. This is one of the few hospitals in the country specifically dedicated to women and children. The new Kentucky Air National Guard - Aviation Support Facility is 92,902 SF facility built to house and maintenance ten UH-60 Blackhawk helicopters or other aircraft. 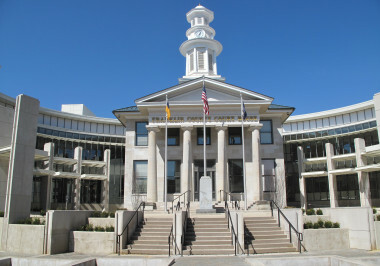 The Franklin County Courthouse project posed a challenge of its own by incorporating new construction with an existing century old courthouse. © 2019 CMTA Energy Solutions. All rights reserved.